Urban Decay Naked Skin Color Correcting Fluid (Peach) - Special makeup Stash or Trash ? 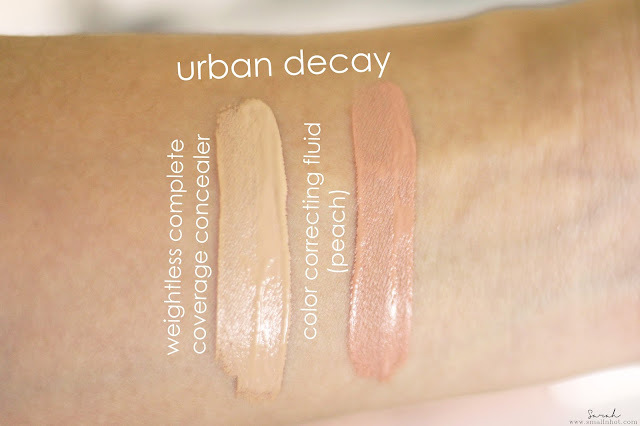 Urban Decay Naked Skin Color Correcting Fluid (Peach) promises to mask circles, veins and sun spots with the peach color corrector and make deep discoloration seemingly disappear. It works great for darker skin tones. Their innovative, lightweight formula illuminates as it blurs flaws for a correcting effect and it's infused with vitamin C and vitamin E.
You'll LIKE it if enjoy trying new beauty trends and probably have the whole day to do your makeup. 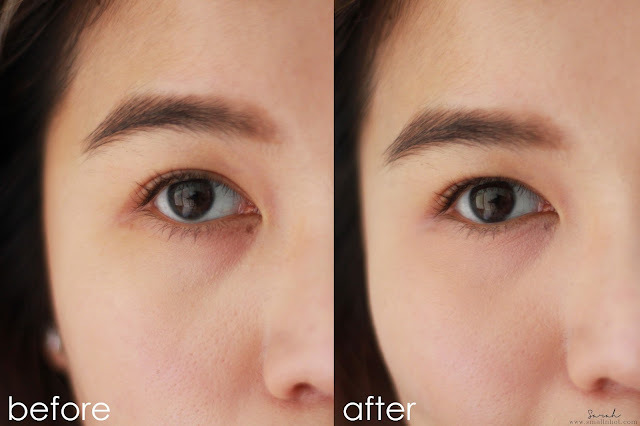 You'll HATE it if are running out time and looking for a high coverage and practical kind of color correcting/concealing. Retailing at SGD 40 at Sephora, the Urban Decay Naked Skin Color Correcting Fluid comes in 5 different colors - Lavender (to correct yellow undertone), Green (to counteracts redness), Peach (works great for dark circles, typically seen in deeper skin tones), Yellow (to correct purple-hued dark circles) and Pink (to disguises dark circles for fair skin tones). All of it is packaged in a slim plastic tube with a dopher applicator. 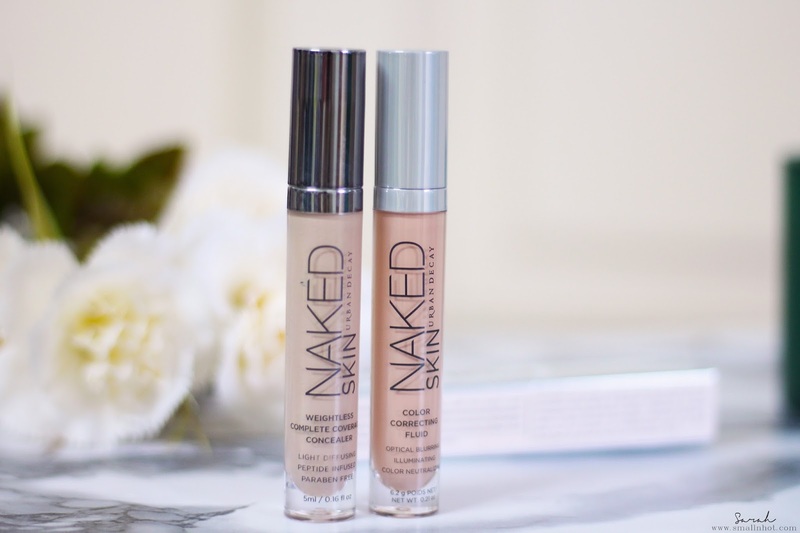 The design and packaging of the Urban Decay Color Correcting Fluid is exactly the same as the Urban Decay Naked Skin Weightless Complete Coverage Concealer, the only difference in terms of design is probably the slightly longer dopher applicator. 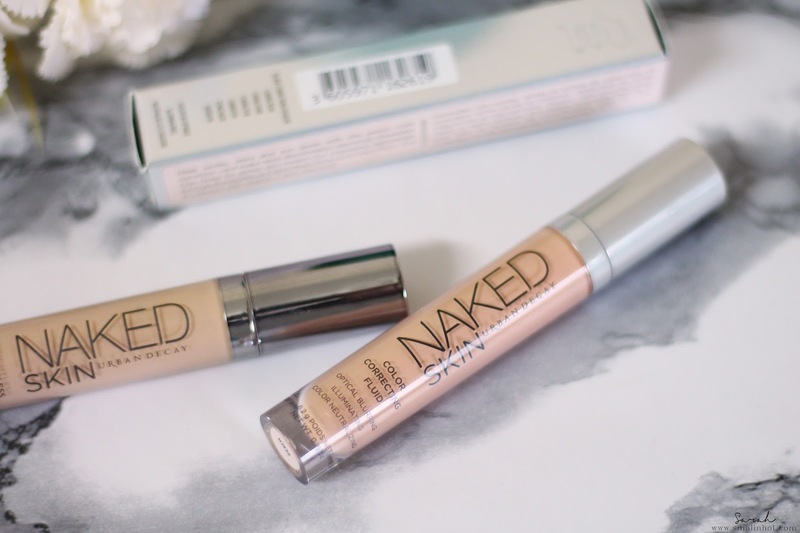 Since the design is pretty much the same as the UD concealer, you might be thinking that the formula is also the same. 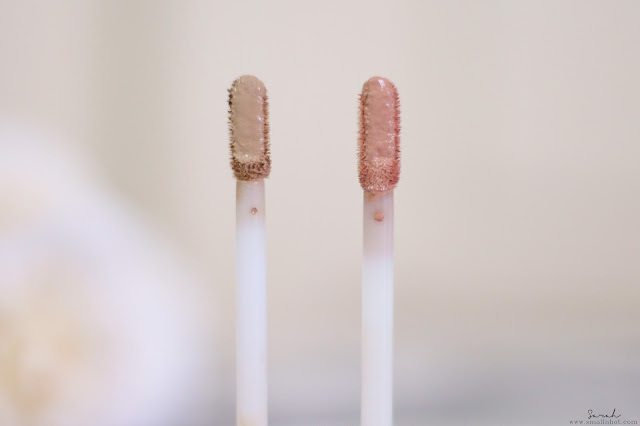 Well you would be mistaken, the UD concealer formula is very creamy yet thick enough to work around, whereas the UD Color Correcting Fluid is much more creamier and more watery in terms of texture, which makes it quite hard to layer on. Whenever I apply foundation on top of this, it'll just move around, especially when I am applying using a flat brush. So it feels rather pointless of an extra step when it doesn't stay on the spot that you would like to color correct. Some other beauty reviews have said that you have to use this sparingly as it's very pigmented but sadly this Peach shade was not as pigmented as I thought it would be. I would have to apply at least 2 layers to correct my dark circles and that makes me ask myself, wouldn't a concealer do a better job in concealing my dark circles ? And the answer is YES ! Overall, I do enjoy trying out new beauty trends, but would I reach for this Urban Decay Naked Skin Color Correcting Fluid everyday ? No, because it's literally an extra unnecessary step that I don't always have time for, especially when it moves around and I have to spend extra time just to apply my foundation on top of it. The next question is, why would I use this Color Correcting Fluid when a concealer does a better or the same job in concealing my dark circles ? So I guess this new Urban Decay Naked Skin Color Correcting Fluid (Peach) is definitely in the TRASH.